Gone are the days, when people used to download pirated content and watch at their comfort. Now its all about streaming content online, and thus saving tons of space on your external drives or money on buying them, which is again illegal. How to access Netflix 4K content ? Once you are set with the correct subscription, change the streaming quality set to High. It is important to note that being able to stream 4K content from Netflix, doesn’t mean that all of Netflix is now magically in 4K. How to know which is available in 4K ? 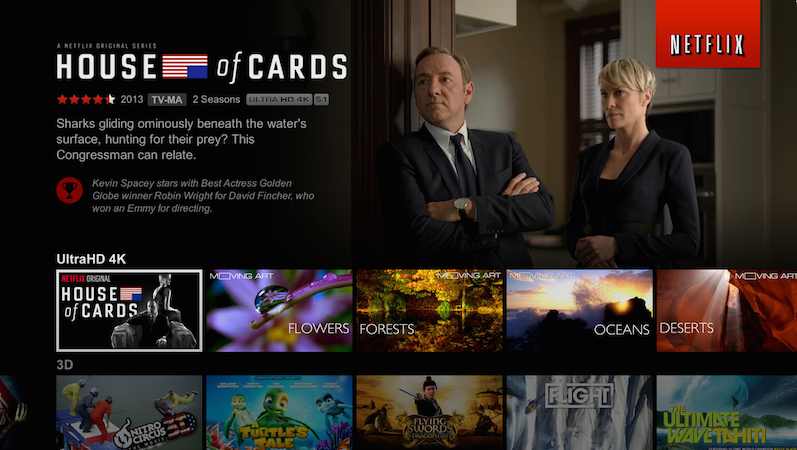 Netflix has a lot of TV shows and movies available in 4K already. Instead of going through and listing every possible series, Netflix has a handy-dandy indicator found below every series that lets you know whether it’s available to stream in 4K. 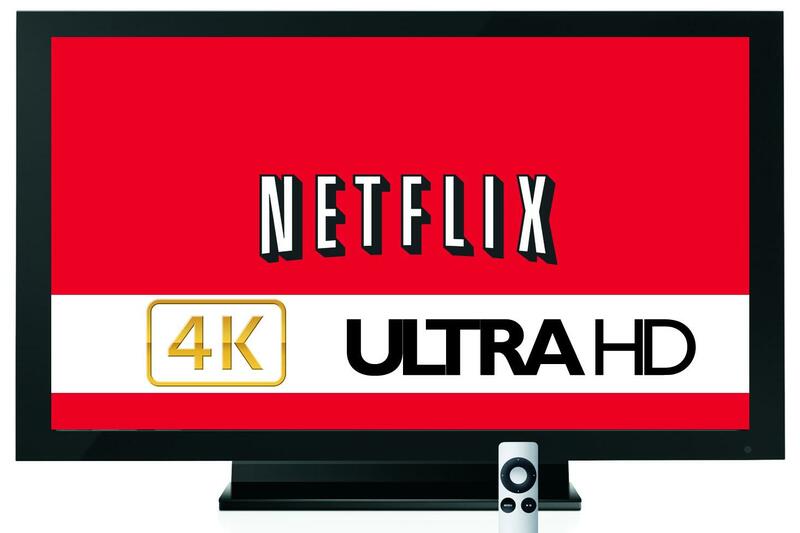 The best way to find out if new 4K titles have been added recently is to simply log in to your Netflix account on your Smart 4K Ultra HD TV and scroll down the 4K Ultra HD content line or select 4K in the category menu. If Netflix detects the proper TV, subscription type, and internet speed, the content will play in 4K as advertised. However, if one or more those requirements are not met, Netflix will automatically adjust the streaming quality (resolution) accordingly. What hardware do I need to able to stream Netflix 4K content ? Before you get hooked up with the sweet 3,840 x 2,160 video you’ve been dreaming of, let’s make sure you have the right components to make it happen. You’re going to need a TV or monitor capable of 4K resolution. Your 4K Ultra HD TV has to be a smart TV and should be able to connect to the internet. In addition to being a smart TV, your TV also has to have a built-in HEVC decoder. This is what enables the TV to decode the Netflix 4K signal properly. Your TV has to be HDMI 2.0 and HDCP 2.2 compliant. The 4K Ultra HD TVs with built-in HEVC decoders also include this HDMI/HDCP feature so that you will be able to connect to external 4K sources to the TV, such as Ultra HD Blu-ray Disc players, Cable/Satellite boxes, and 4K-enabled media streamers. For windows users, you are lucky to be able to stream the 4K Netflix content using your Microsoft Edge Browser or the Netflix App directly. Netflix has its own native Windows 10 app. But yes, the PCs must be on a 7th Gen Kaby Lake Intel processor with a good high-end GPU and RAM as well. The most likely reason for this is security. All Kaby Lake processors come with native support for HDCP 2.2, a protocol used to prevent the copying of 4K video. What kind of internet speeds do I need for Netflix 4K ? The final thing you need to stream Netflix 4K content is a fast broadband connection.Netflix strongly recommends that you have access to an internet streaming/download speed of about 25Mbps. It may be possible that a slightly lower speed could still work, but you may experience buffering or stalling issues or Netflix will automatically down-res your streaming signal to 1080p, or lower resolution, in response to your available internet speed (which also means you won’t get that improved picture quality). So, in short, for Netflix streaming of 4K videos you need atleast 16 Mbps connection obviously because of higher bit rate. Netflix officially recommends you to have 25Mbps minimum so you can have a real buffer-free experience, as the streaming needs to download the content to make it available for you to keep watching. So, if you are an avid Netflix user, you shouldn’t settle for anything less. In conjunction with a fast broadband speed, you should also connect your Smart Ultra HD TV to the internet via a physical Ethernet cable jack. Even if your TV provides Wi-Fi, it can be unstable, resulting in buffering or stalling, which definitely ruins the movie viewing experience. However, if you are currently using a 5Ghz Wi-Fi Router and haven’t had a problem with interference, you may still be OK. Just remember, 4K video contains a lot more data, so even minor interference can cause problems. If you encounter problems using Wi-Fi, Ethernet would be the best option.